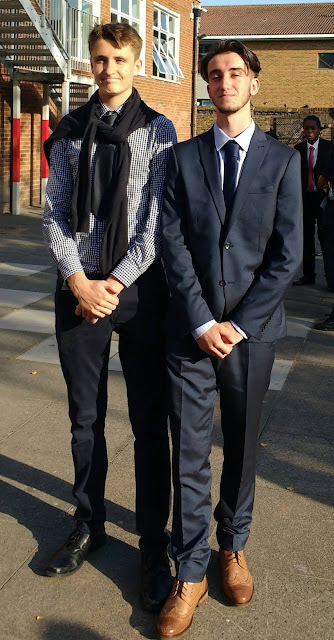 Here are Ben and Jonnie graduating from Rutlish yesterday now that their GCSEs are finished. Considering Ben is a pretty solid six feet three inches I wonder how tall that makes Jonnie. Equivalent photos from primary school and first day in secondary school below.